Matches will be best of 3. Bracket group winners will advance to championship matches and play best of 5. Trophies will be awarded to winners and to runners up. $10.00 per player covers all events! Register now, Pay upon entry. ​All proceeds beyond our expenses will benefit the Southern York County Food Pantry. Canned and boxed food items will be accepted as donations as well. Doors open at 7:30 am for warm-ups. Only need to fill this out if you are playing in the doubles division. I have read and agree to the H.A.R.P. Waiver at the bottom of this page. 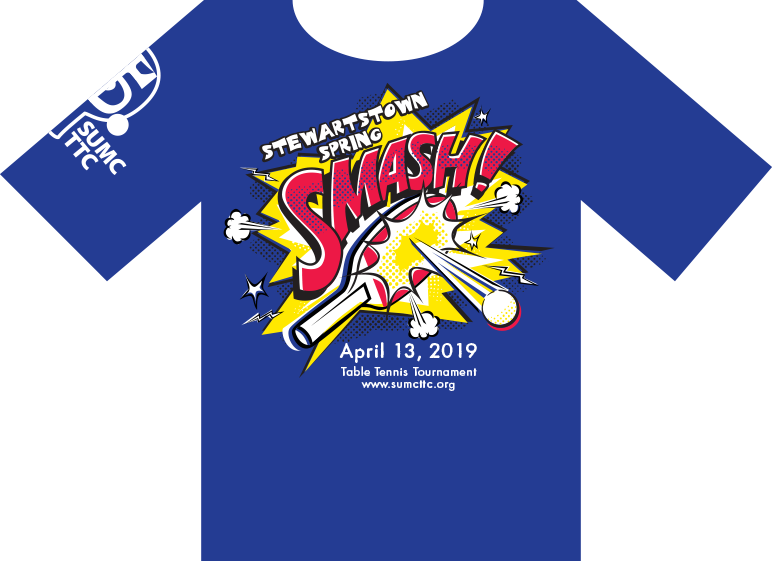 Stewartstown Spring SMASH! Athletic Tech Shirts Available! Important Information: Hopewell Area Recreation and Parks is committed to conducting its recreation programs and activities in a safe manner and holds the safety of participants in high regard. Hopewell Area Recreation and Parks continually strives to reduce such risks and insists that all participants follow safety rules and instructions that are designed to protect the participants’ safety. However, participants and parents/guardians of minors registering for the listed programs/activities must recognize that there is an inherent risk of injury when choosing to participate in recreational activities/programs.You are solely responsible for determining if you or your minor child/ward are physically fit and/or skilled for the activities contemplated by this agreement. It is always advisable, especially if the participant is pregnant, disabled in any way or recently suffered an illness, injury or impairment, to consult a physician before undertaking any physical activity. Warning of Risk: Recreational activities/programs are intended to challenge and engage the physical, mental and emotional resources of each participant. Despite careful and proper preparation, instruction, medical advice, conditioning and equipment, there is still a risk of serious injury when participating in any recreational activity/program. Understandably, not all hazards and dangers can be foreseen. Depending on the particular activity, participants must understand that certain risks, dangers and injuries due to inclement weather, slipping, falling, poor skill level or conditioning, carelessness, horseplay, unsportsmanlike conduct, premises defects, inadequate or defective equipment, inadequate supervision, instruction or officiating, and all other circumstances inherent to indoor and outdoor recreational activities/programs exist. In this regard, it must be recognized that it is impossible for Hopewell Area Recreation and Parks to guarantee absolute safety. Waiver and Release of all Claims and Assumption of Risk: Please read this form carefully and be aware that in signing up and participating in the listed programs/activities, you will be expressly assuming the risks and legal liability and waiving and releasing all claims for injuries, damages or loss which you or your minor child/ward might sustain as a result of participating in any and all activities connected with and associated with the program/activity, including transportation services/vehicle operation when provided. I recognize and acknowledge that there are certain risks of physical injury to participants in the listed programs/activities, and I voluntarily agree to assume the full risk of any and all injuries, damages or loss, regardless of severity, that my minor child/ward or I may sustain as a result of said participation. I further agree to waive and relinquish all claims I or my minor child/ward may have (or accrue to me or my child/ward) as a result of participating in this program/activity against Hopewell Area Recreation and Parks, including its officials, agents, volunteers and employees. I do hereby fully release and forever discharge Hopewell Area Recreation and Parks from any and all claims for injuries, damages or loss that my minor child/ward or I may have or which may accrue to me or my minor child/ward and arising out of, connected with, or in any way associated with the listed programs/activities. I do hereby grant and give Hopewell Area Recreation and Parks the right to use my or my child/ward’s photograph or image for promotional purposes. I have read and fully understand the above important information, warning of risk, assumption of risk and waiver and release of all claims. 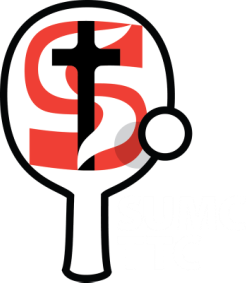 If registering on-line or via fax, my on-line or facsimile signature shall substitute for and have the same legal effect as an original form signature. *If participant is under age 18, parent or guardian must sign for them.